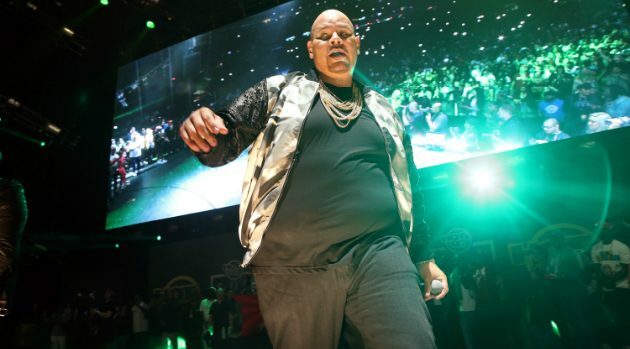 Johnny Nunez/WireImageFat Joe is capitalizing on the recent success of his new Terror Squad track, “All the Way Up” featuring Jay Z by releasing two more versions of the song. The Bronx rapper enlists EDM DJ David Guetta to speed up the ominous sounding track with a upbeat tempo. The repetitive beat imparts a pop flavor to the hit track. On the second new version, Joe enlists reggaeton artists Daddy Yankee and Nicky Jams for a “Spanish version” of the track. Check out David Guetta’s version on SoundCloud and the reggaeton remix on YouTube.